Max Lamb digs, pours, carves, burns, hacks, saws, and casts in his quest to unearth forms. 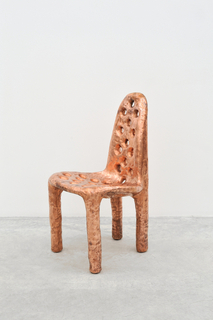 Much of his work is made by hand, forging objects from raw materials. For the designer, the process is as important as the final object. 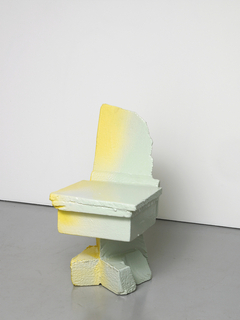 Lamb’s pieces have a rough, tactile quality, illuminating his often primal, elemental, and transformative material explorations and techniques. Lamb graduated with a bachelor’s degree in 3D design from Northumbria University in 2003 and, in 2006, with a master’s in design products from the Royal College of Art. 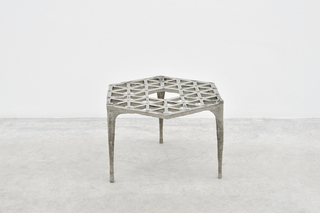 He established his eponymous studio in 2007. We have 3 objects that Max Lamb has been involved with. We have 1 video that features Max Lamb.